Police are appealing for witnesses after a black BMW hit a central reservation and flipped over. 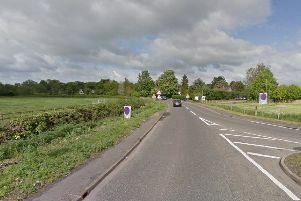 The single vehicle crash happened in Churchill Road, Wisbech, at about 9.55pm last night (Wednesday, July 4). The vehicle was recovered and Highways was called to deal with the central reservation. Anyone who witnessed the crash, or the driving before, is asked to call 101 and quote incident CC-04072018-0521.